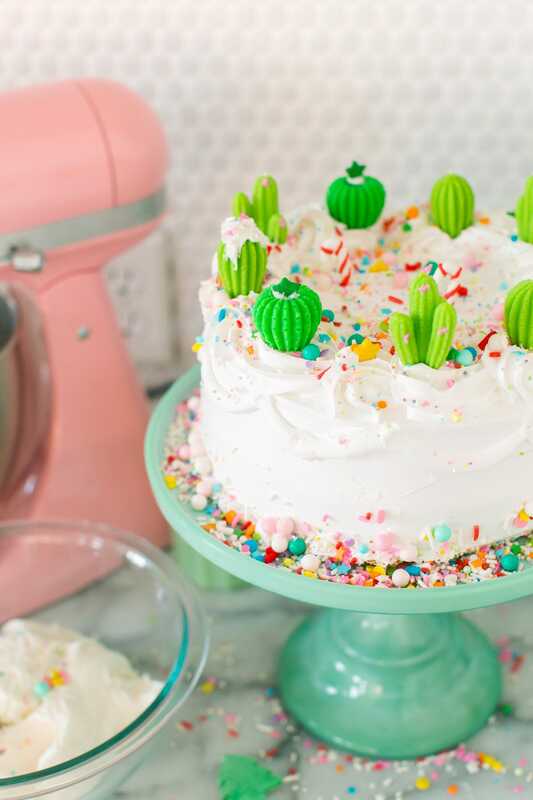 Everything Sweet Cake & Starting A New Holiday Dessert Tradition! This post is sponsored by Pyrex, but all opinions are my own. 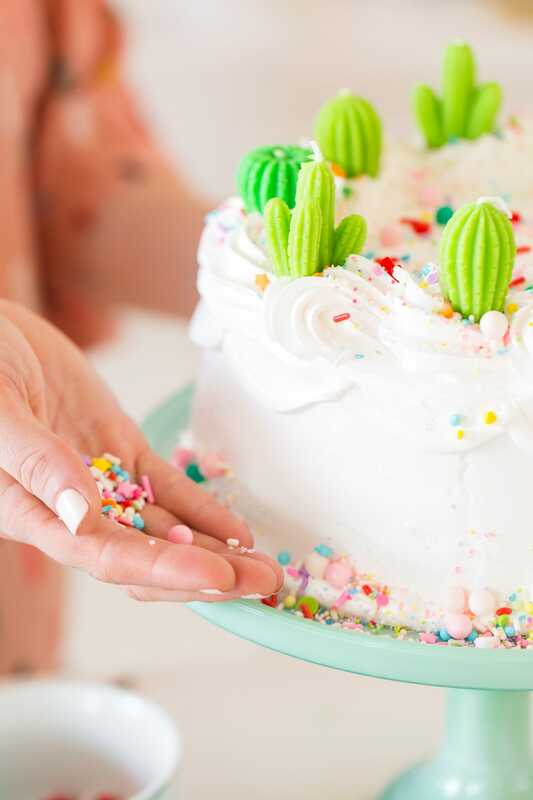 I’m currently hopped up on sugar, 34 weeks pregnant, and about to get sentimental with you guys over an “everything sweet” cake. Did you really expect anything less from me at this point? Ha! Since this is our last Christmas before baby girl arrives, I’ve got traditions and warm fuzzies on the mind. 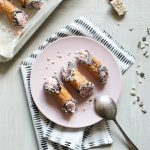 Most things we make are made to be picture perfect for the blog, so the ones that are especially messy and fun have quickly become my favorites. 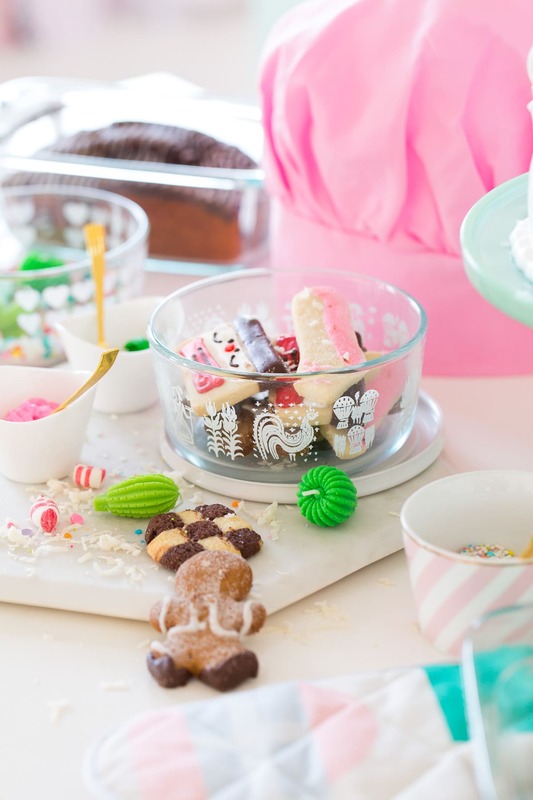 These perfectly colorful and messy everything sweet cookies from last year’s cookie exchange are the perfect example. Why? Because they’re going to be SUCH a fun tradition for starting with our family. I want our kiddos to be involved in making pretty things with love and fun traditions without everything always needing to be “picture perfect”. 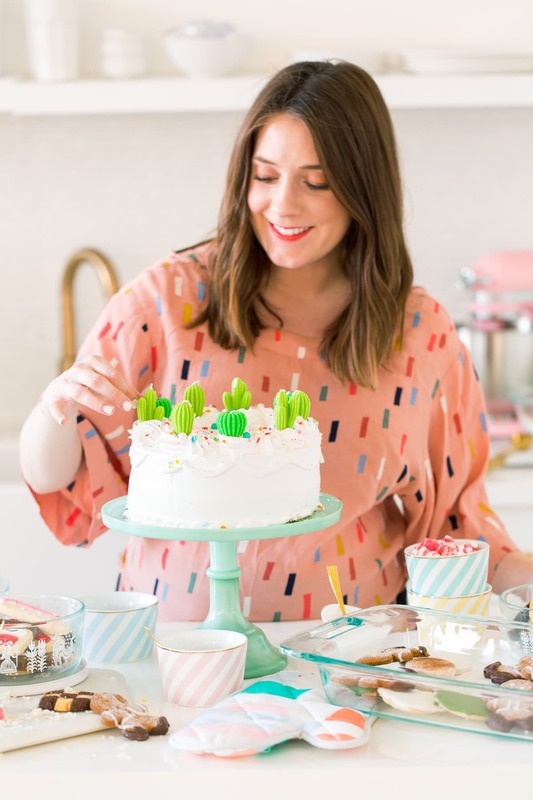 Plus we can apply the everything sweet tradition — where we basically sprinkle any and all desserts with every colorful and edible —to just about any occasion, which seems like a fun way to implement the made with love motto! Literally the best thing about this everything sweet cake design is that you can’t go wrong. 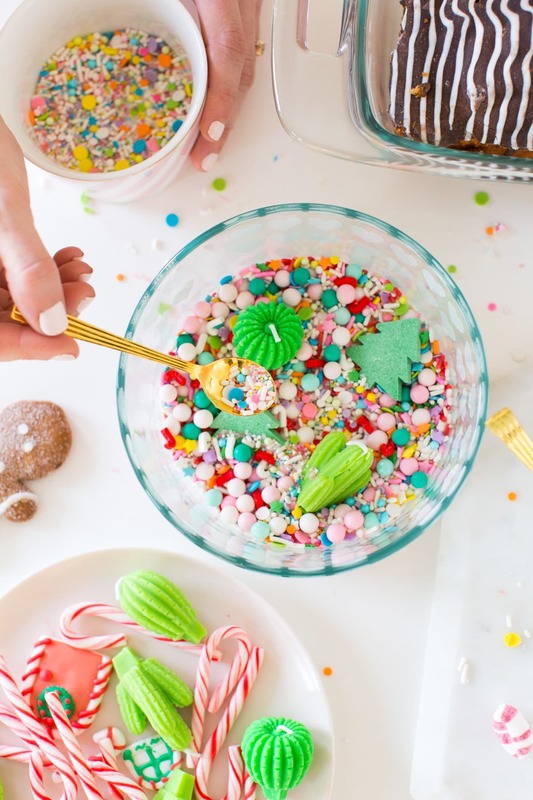 The more sprinkles, edible decorations, and candies you add to it, the better! 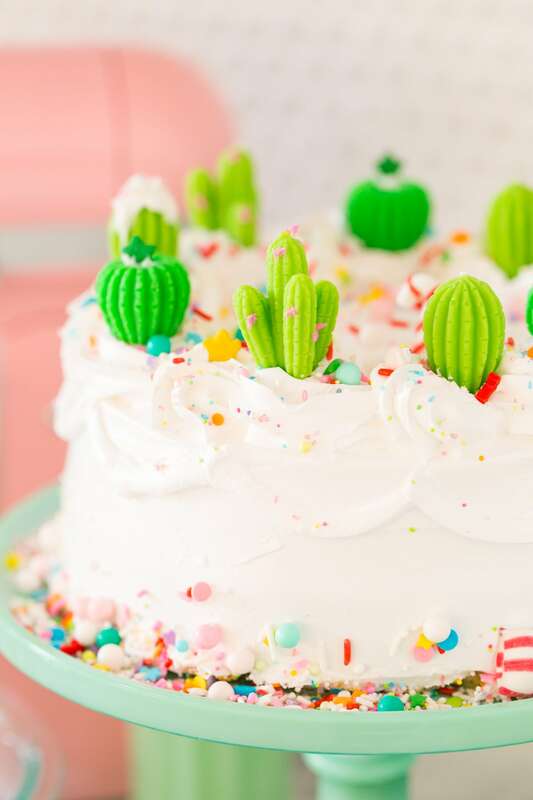 I’m still riding the cactus Christmas theme strong around here, so I decided to add a few decorated cacti to the top of the cake, too. I’m also a big fan of mixing up the classic cookie exchange with more than just one type of treat. Plus it’s all too easy to make a bunch of things when you can bake and store them in the same Pyrex storage containers. 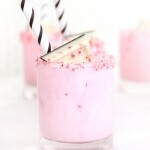 That and my extreme sweet tooth is coming into play here, haha! 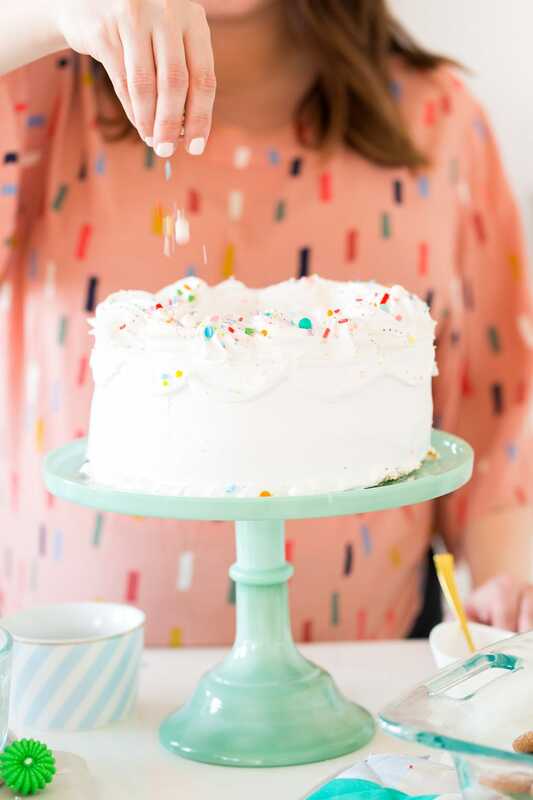 When it comes to making your own everything sweet tradition, I always like to start with mixing my own custom sprinkle concoction in a practical bowl for storing it in so you’re not constantly remaking more mixes. For this one I added stars, colorful sprinkles, peppermint crunch, mini candy canes, and basically anything else I could find. What kind of traditions do you have with your little ones? I’m all ears! Also be sure to use code: PYREXLOVE20 for a discount on expanding your Pyrex collection this year. This is my current favorite from new, limited edition decorated storage collection love collection! 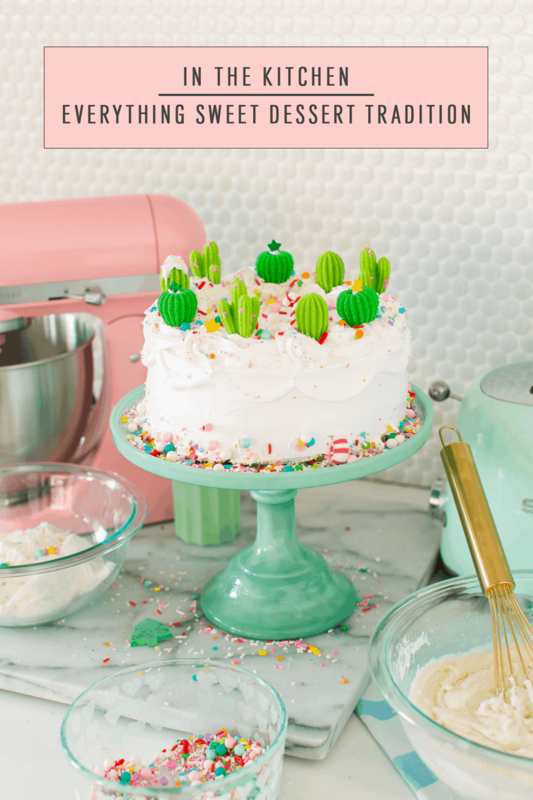 A big thanks to our friends at Pyrex for partnering with us on this post! 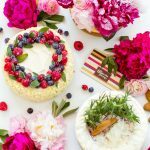 Sugar & Cloth is donating 5% of all sponsored campaigns to charity, which you can read about right here! 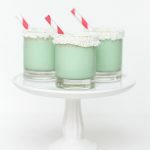 Best of Sugar & Cloth holiday posts from the archives! I have a pyrex collection, too!!! I am so thankful to have my grandmothers vintage pyrex, it has a special place in my heart! Omg! 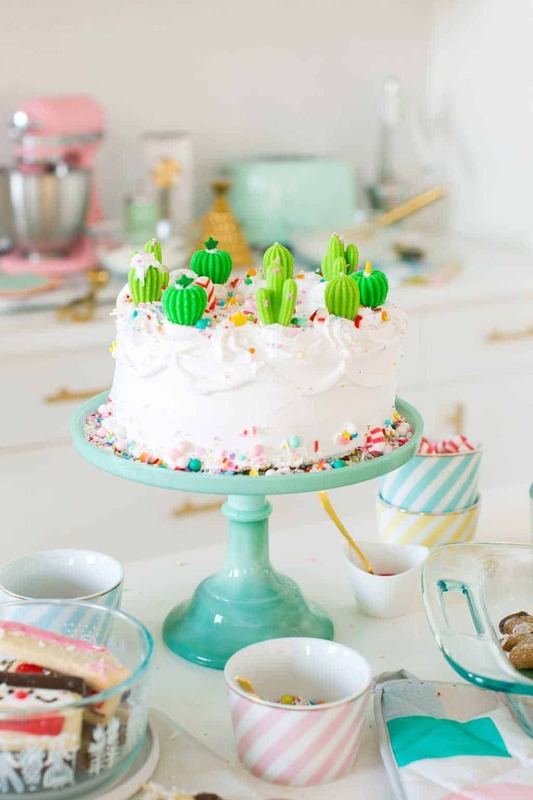 I adore the cacti candles! Must have. Where did you find those? In our house, we bake the same chocolate cake with chocolate frosting for every birthday, and top with coloured sprinkles. The recipe is we use from a cookbook my husband’s granny baked from and has made the rounds in his family for years. My sons are 5 and 2 and already get excited about it each year! I’m sure countless people have said this, but many congratulations on your upcoming arrival. Words always fall short to convey how amazing children are; truly extraordinary and life changing. Wishing you a safe delivery!